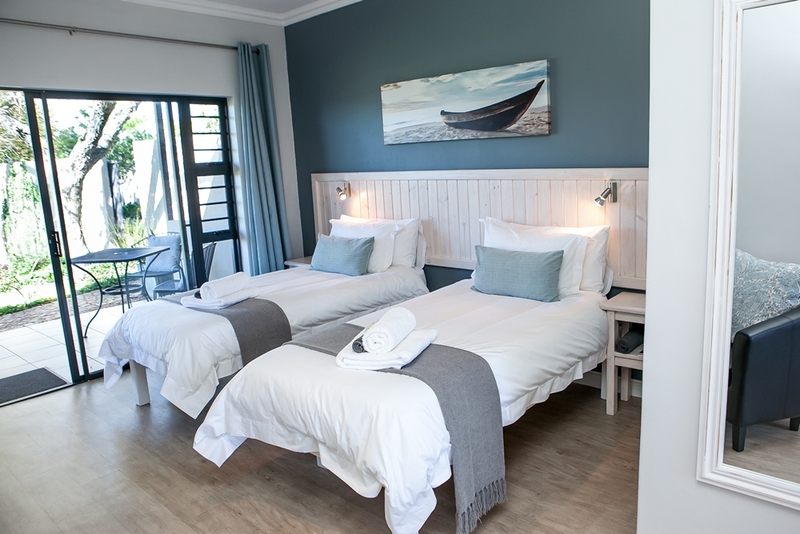 Discover the Cape’s best kept selfcatering secret by far. 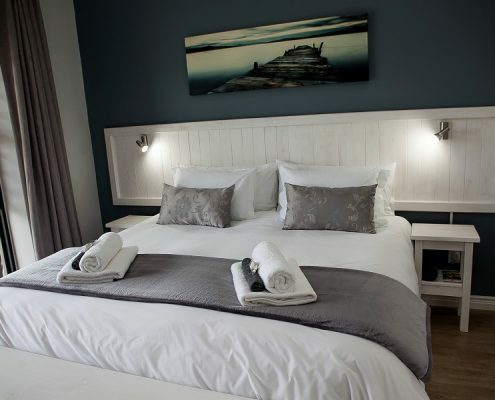 Bona Vista is in the heart of the Cape Winelands, which is surrounded by a semicircle of picturesque Boland mountains. 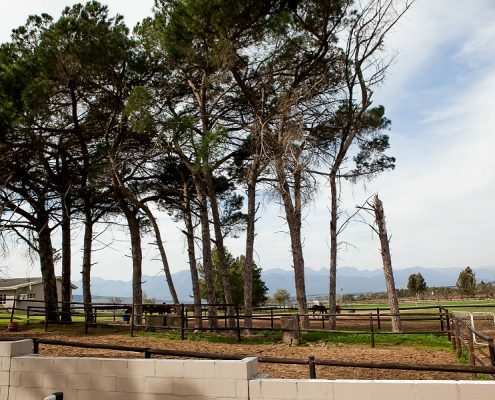 It is an active wine and fruit farm with a thoroughbred horse stud. 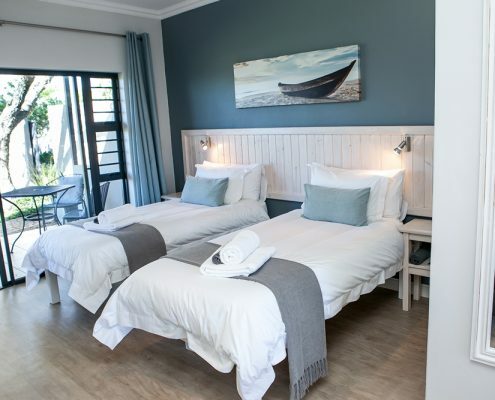 Bona Vista offers 11 self-catering, en-suite rooms and 2 two-bedroomed cottages within a farm environment, just 10 kms from Paarland 15 km from Stellenbosch. 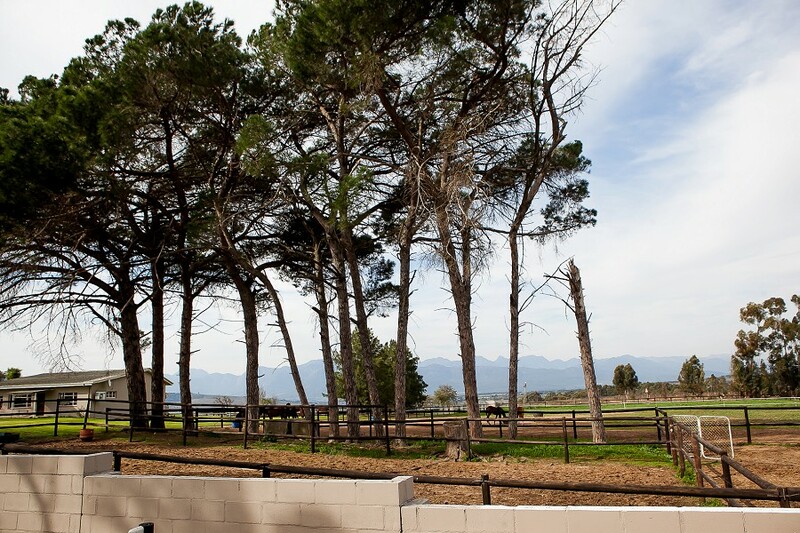 We are surrounded by lush orchards, vineyards and paddocks with stunning 360° scenery. 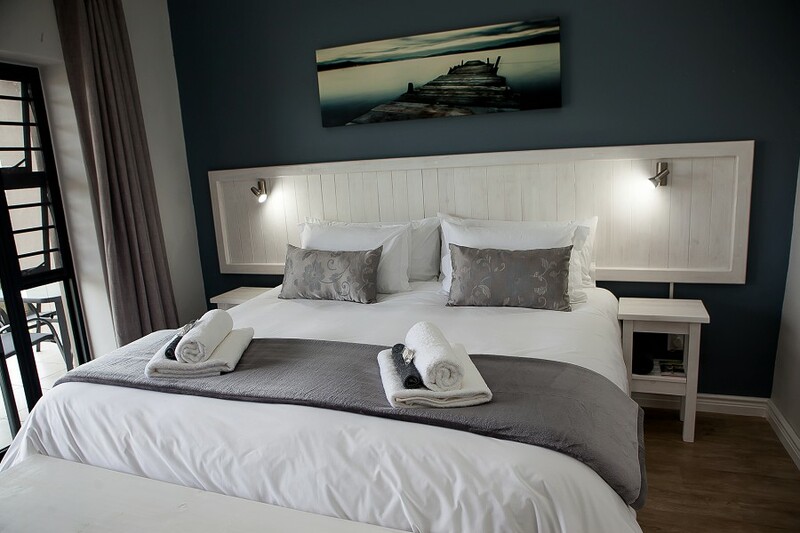 While staying in one of our stylish and modern rooms, you will experience the feeling of a working farm, but will still enjoy the beauty and peace of nature that surrounds you. The area offers good restaurants and many wine tasting opportunities. It is a restful environment and can be enjoyed by people wanting a quiet time. 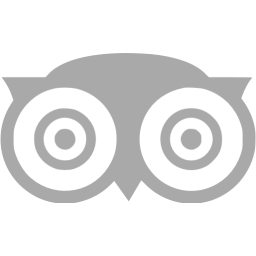 For evening dining out, there are plentiful award winning restaurants in Paarl and Stellenbosch. Uiters gerieflike verblyf met fyn aandag aan detail. Hartlike ontvangs deur Theunis en Risa! Heerlike plaas-atmosfeer. Baie sentraal geleë. Veilig. Waarde vir geld. Ons sal julle beslis weer besoek! Ons het baie baie lekker by julle gekuier. Julle plek is baie netjies en agtermekaar. Dankie vir jul gasvryheid. Ons het nou al 2 keer by Bona Vista tuis gegaan en dit vir ‘n REDE!! 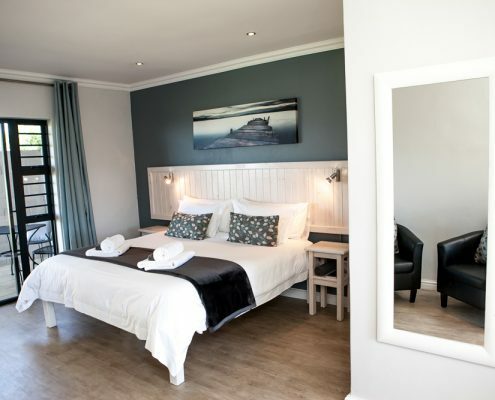 Dit is die mooiste mooi en netjiese plekkies en het alles wat mens wil he as mens wegslaap van jou huis af!! Dit is pynlik skoon, pragtig versier, met kraakvars beddegoed en handdoeke. Bona Vista kan myns insiens gesien word as 5 ster, dan natuurlik saam met dit die wonderlike mense wat jou op die hande dra en uit hulle pad gaan om jou te laat tuis voel, geen moeite word ontsien nie! Nogmaals weereens dankie Risa en familie, dat ons NOOIT by julle sal of kan verby hou elke keer as ons in daai rigting kom nie!!! Stop en oorslaap is ‘n moet by BONA VISTA!!!!! Beleef dit asseblief!!!! Baie dankie Theunis en Risa. Alles was vreeslik lekker en pragtig, julle sal ons weer sien! 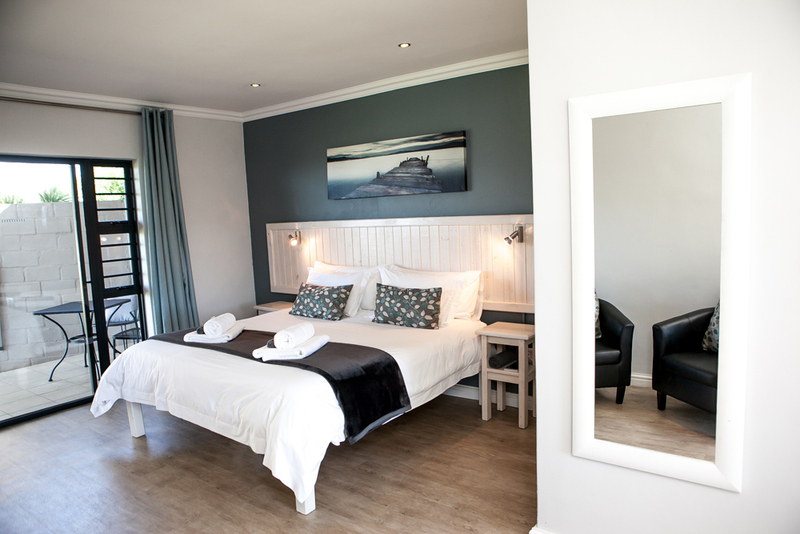 Bona Vista’s perfect and peaceful setting makes it ideal accommodation while visiting various Paarl winefarms. We were so comfortable in our lovely stylish room. The best bed ever! 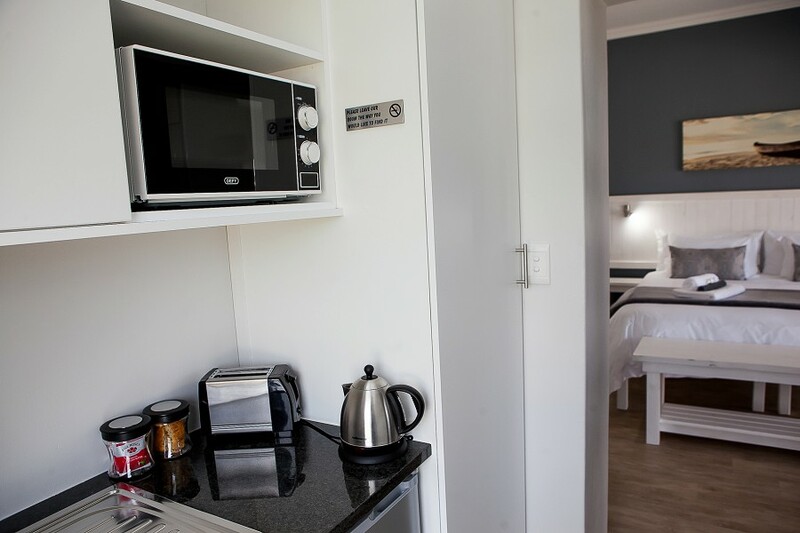 The warm personal touches added to the room, with a well-stocked kitchen, made everything so easy to enjoy. The effort to make us feel welcome will make us come back in a hurry. Our time at Bona Vista was completely unforgettable! My father and I were fortunate enough to be the first guests at this breathtakingly stunning guesthouse. We were not only welcomed personally be the owners and their family, but we were treated to a lovely bottle of wine as well! The rooms were impeccable and being able to sit on the porch with a book in hand and an awe inspiring view was just icing on the cake. I still need the name of that bedding though, as I don’t think I have ever slept so well in my life! The only negative part of our two week stay was having to leave! I look forward to coming back to such a professional, peaceful and friendly place. A perfect place for a retreat! 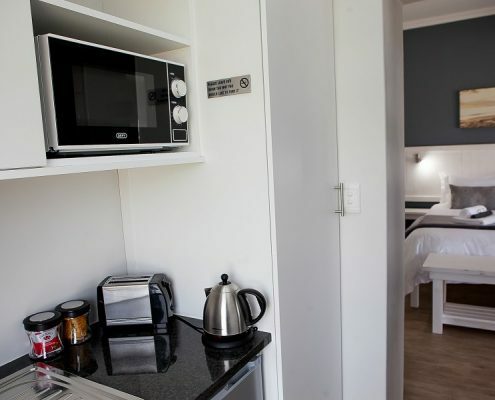 Very clean, love the modern interior with free WiFi and Dstv right in the heart of the Wineland, best accommodation in the area by far with axcellent value foroney. Not to forget to mention the friendly reception by our hosts Risa and Theunis. Wil net dankie sê vir die puik verblyf. Ek het nog nooit in ‘n netjieser of skoner plek gebly nie. Die uitsig na die berge is prentjie mooi. Your booking is just a call away! We looking forward to hearing from and meeting you. Bona Vista promise to make your stay absolutely memorable!